Debra Cowan’s 2005 release, Dad’s Dinner Pail and Other Songs From the Helen Hartness Flanders Collection is a captivating alliance of new and old. 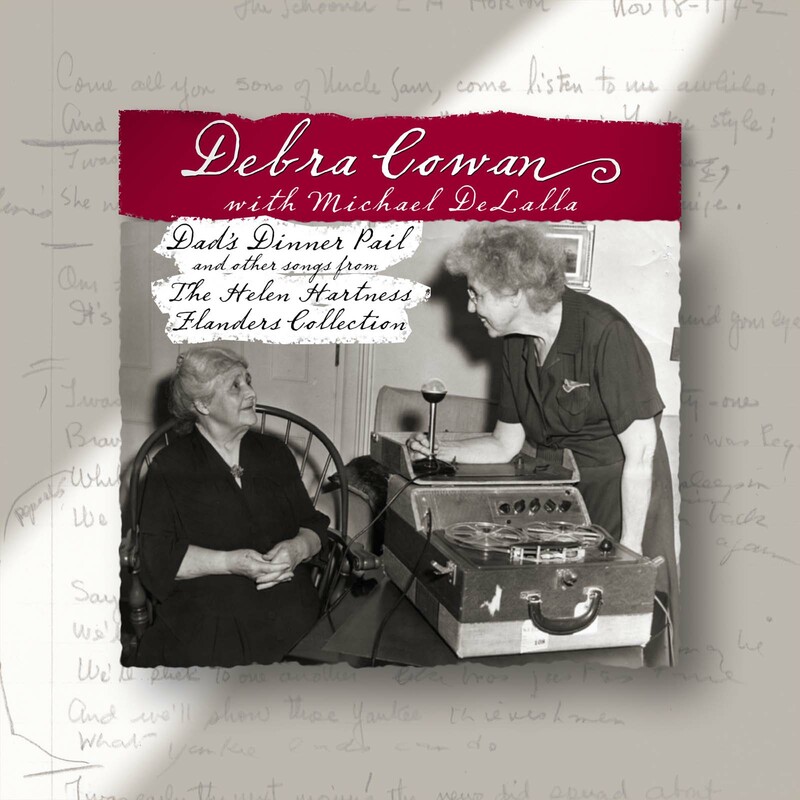 Co-produced with composer and guitarist Michael DeLalla, Dad’s Dinner Pail brings forth eleven traditional songs from the Flanders Song Collection in which a dance is created between Michael’s exquisite guitar settings and Debra’s elegant vocals. Dad’s Dinner Pail also features Falling Mountain Music artists Tabby Finch (Bog Wanderers) on hammered dulcimer and accordion, Chas Fowler (Unfortunate Rakes) on whistle, Joe Dezarn (Bog Wanderers) on fiddle, Ralph Gordon on cello and bass and acclaimed singer John Roberts (Roberts and Barrand, Nowell Sing We Clear) lending his voice to two hymns, Fearless In the Fire and Star In the East. Highlights include Michael’s beautiful guitar arrangements in songs such as Bold Richard and Debra’s glorious vocals nested in three part harmony on Poor Soldier. Also available online from Bandcamp, cdbaby or iTunes.